Drinking coffee seems to have its perks. In addition to the physical boost it delivers, coffee may lessen our risk of heart disease, diabetes and dementia. Coffee may even help us live longer. Now, there's more good news: research at Stevens Institute of Technology reveals that the scent of coffee alone may help people perform better on the analytical portion of the Graduate Management Aptitude Test, or GMAT, a computer adaptive test required by many business schools. The work, led by Stevens School of Business professor Adriana Madzharov, not only highlights the hidden force of scent and the cognitive boost it may provide on analytical tasks, but also the expectation that students will perform better on those tasks. Madzharov, with colleagues at Temple University and Baruch College, recently published their findings in the Journal of Environmental Psychology. "It's not just that the coffee-like scent helped people perform better on analytical tasks, which was already interesting," says Madzharov. "But they also thought they would do better, and we demonstrated that this expectation was at least partly responsible for their improved performance." In short, smelling a coffee-like scent, which has no caffeine in it, has an effect similar to that of drinking coffee, suggesting a placebo effect of coffee scent. In their work, Madzharov and her team administered a 10-question GMAT algebra test in a computer lab to about 100 undergraduate business students, divided into two groups. One group took the test in the presence of an ambient coffee-like scent, while a control group took the same test—but in an unscented room. They found that the group in the coffee-smelling room scored significantly higher on the test. Madzharov and colleagues wanted to know more. Could the first group's boost in quick thinking be explained, in part, by an expectation that a coffee scent would increase alertness and subsequently improve performance? The team designed a follow-up survey, conducted among more than 200 new participants, quizzing them on beliefs about various scents and their perceived effects on human performance. Participants believed they would feel more alert and energetic in the presence of a coffee scent, versus a flower scent or no scent; and that exposure to coffee scent would increase their performance on mental tasks. The results suggest that expectations about performance can be explained by beliefs that coffee scent alone makes people more alert and energetic. 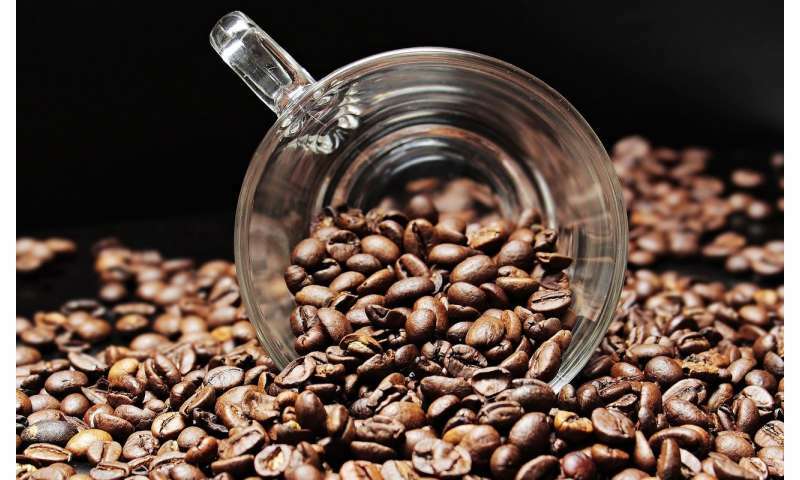 Madzharov, whose research focuses on sensory marketing and aesthetics, is looking to explore whether coffee-like scents can have a similar placebo effect on other types of performance, such as verbal reasoning. She also says that the finding—that coffee-like scent acts as a placebo for analytical reasoning performance—has many practical applications, including several for business. "Olfaction is one of our most powerful senses," says Madzharov. "Employers, architects, building developers, retail space managers and others, can use subtle scents to help shape employees' or occupants' experience with their environment. It's an area of great interest and potential." Next they should do the same study by cutting open a bag of cocaine and throwing it into an oscillating fan blowing all over the test subjects! SCIENCE!! !